Pre-K 4 SA became a reality when voters approved a 1/8th of a cent increase in the city’s sales tax in 2012. An early learning financing toolkit from the North Carolina Early Childhood Foundation and North Carolina Budget and Tax Center estimates that while the sales tax increase only costs each household about eight additional dollars each year, it will generate about $33.6 million per year for eight years. The program has multiple components, including grants to local public districts, charter schools, and parochial schools, and professional learning opportunities for educators in existing district pre-K programs. But what really stands out in San Antonio are the four Pre-K 4 SA centers, which serve over 2,000 four-year-olds, mostly from low-income families. If “Pre-K for the USA” became a reality, early learning classrooms could look very different for the majority of our nation’s children. The settings and teaching reflect the Indispensables for Quality Pre-K published last year in partnership with the Alliance for Early Success. My colleague Laura Bornfreund and I had the pleasure of visiting one of San Antonio’s four Pre-K 4 SA programs last week. The building, which serves approximately 500 of the city’s four-year-olds, is located in a strip mall and looks like it could be a Home Depot from the outside. Built specifically for Pre-K 4 SA, CEO Sarah Baray says it was designed so that if needed the building could easily be repurposed. And as practical as the architect was in designing the building’s exterior with the city in mind, Pre-K 4 SA has been even more intentional in designing the interior with children in mind. The inside is as warm and child-friendly as the exterior is cold. Upon entering, there’s a large “parent cafe” to the left. It’s a clean, bright room with tables, computers, a reading area, and a dramatic play area for parents to interact with their children. 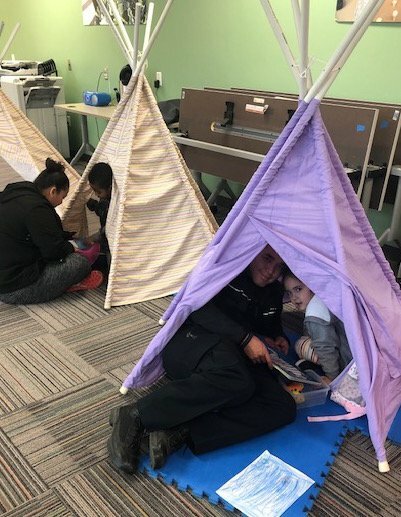 On the afternoon of our visit, the tables were pushed aside and replaced with teepees where parents picking up their children at the end of the school day could take a few minutes to sit and read with them. 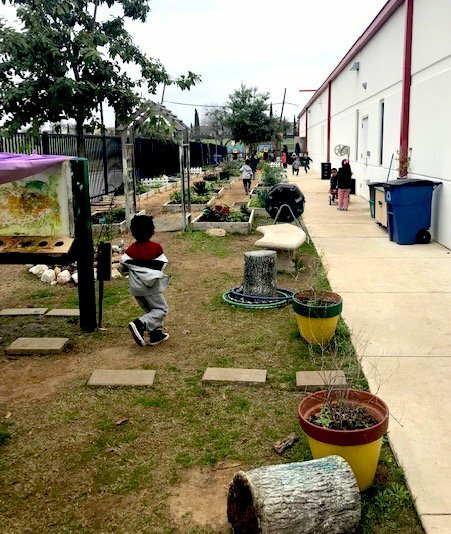 The Pre-K 4 SA centers are intended to be demonstration sites that other pre-K leaders and teachers can learn from, and they meet numerous components of quality. The program is full-day, with extended hours to mirror the traditional workday. They also provide wraparound services, including a full-time nurse on staff. Pre-K 4 SA uses the research-based High Scope Curriculum. Baray says one reason they chose High Scope is because it transitions more easily into kindergarten settings. Pre-K 4 SA knows that true quality is impossible without effective teachers and invests both time and money in their staff. Teachers are certified and assistant teachers have CDA credentials. Teacher aides need a highschool diploma. “Master teachers,” who must have at least three years of experience and mastery of the curriculum, can earn as much as $90,000 per year. Baray says, “We are trying to create a pipeline.” Teachers also have supports that are all too rare for early childhood educators, such as 30 minutes of paid planning time per day, often spent reviewing student data. And new teachers have instructional specialists in their room for up to a year to help shape environments and lessons. One of the most memorable aspects of the center was the outdoor play area. Weather permitting, Pre-K 4 SA children spend about one and a half hours per day outside. Parents helped construct an extensive garden for children to plant and grow food, including an area for composting. There’s chalkboard lining some of the walls and outdoor easels for painting. Pre-K 4 SA has used its resources wisely, showing how creativity and intentionality can stretch money further. When one area of the yard kept flooding, educators decided to embrace the mud puddle and now have rain boots lining the puddle for children to enjoy. It helps that the school has assistant teachers specifically focused on outdoor learning. Pre-K 4 SA has also been thoughtful about incorporating children’s cultures and embedding themselves in the community. One multi-purpose room was painted with landmarks of San Antonio, all done by teachers. Children select and raise money for a local nonprofit each year. And meals are provided throughout the day from the San Antonio Food Bank, a for-profit catering service that also provides job training and employment to formerly incarcerated community members. And early results suggest that their efforts are starting to pay off. An independent evaluation of the first five years of implementation found that Pre-K 4 SA classrooms, on average, were rated higher on all three domains of the Classroom Assessment Scoring System (CLASS), which measures the quality of teacher-child interactions, than other Texas and national Head Start programs. The study did find that quality was varied across Pre-K 4 SA centers. The researchers also found that within Pre-K 4 SA, attendance mattered. Better Pre-K 4 SA attendance is associated with up to two months of literacy gains in 1st grade. Pre-K 4 SA spends approximately $11,500 per student per year, almost three times what the state of Texas spends on pre-K students. As Baray explains, “San Antonio led with quality, not access.” Even though 2,000 children are served each year, just as many remain on the waiting list. As of now, it’s not clear exactly what Castro means when we says he wants to bring Pre-K 4 SA to the USA. In San Antonio, programs can look very different depending on the setting. What role would the federal government play? How would it be funded? Would programs be universal or focused on serving low-income students? We’ll keep an eye out for details on his policy agenda over the coming months. 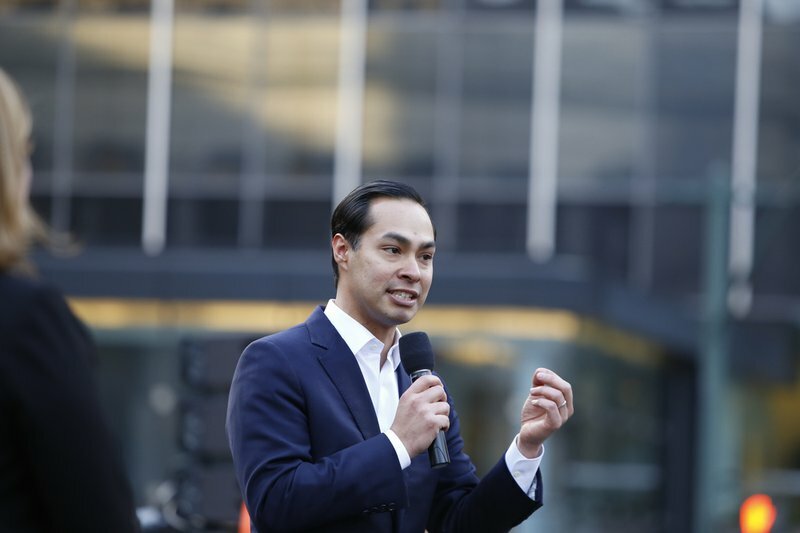 What is clear is that Castro’s efforts to improve early learning in San Antonio have led to higher quality experiences for thousands of children each year. Other states and localities can learn a lot from the work happening there.